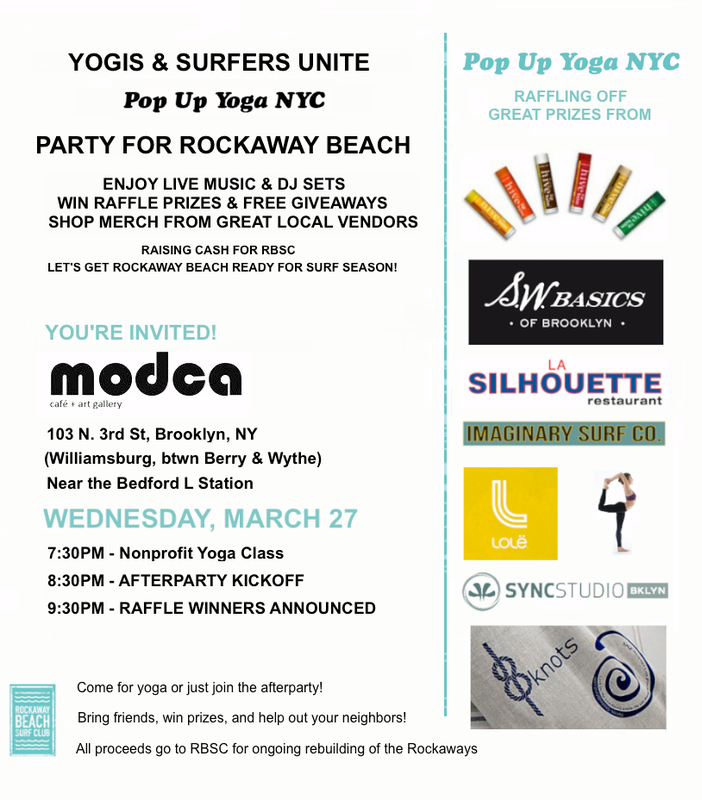 What’s not to love about free yoga, food, music and raffel prizes to benefit our hardworking friends at the Rockaway Beach Surf Club? Make it out and show your support. All proceeds will go to RBSC to continue their Sandy relief efforts in Rockaway, NY. Can’t come but want to DONATE?